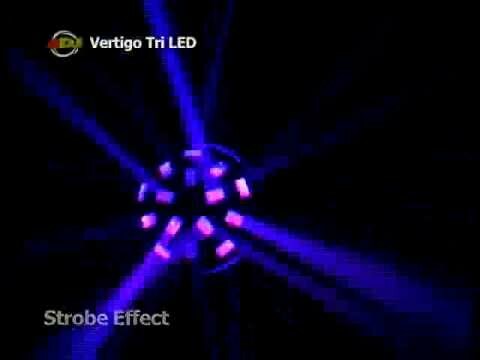 Considering purchasing the American DJ Vertigo Tri LED Effect? Have questions? Ask people who've recently bought one. Do you own the American DJ Vertigo Tri LED Effect? Why not write a review based on your experience with it. This light is brilliant for the amount you pay for it! Yes its not the most high end on the market but its under £100 so what do you expect? I have one and had it for 2 years now, never had a problem and its bright for what it is! Worth the money by all means. Good light for a beginner. I own 2 of these not purchased through DJ KIt but for the price you pay, you wouldn't be disappointed! The LEDS are really bright and fill up a small venue with ease. Add a bit of haze to really gain the full beam effect. My mate got x4 of these lights across his truss and they look awesome and really sharp beams, got to use a little of smoke or haze to get a good effect. I don't know why but I just find the projected lights a bit tacky! I not keen on this fixture, I'd rather pay extra for some scanners that have proper gobos, would be fine for discos but not liking it on the whole. 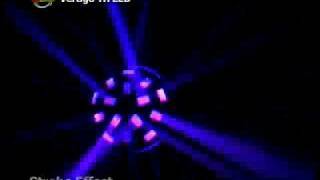 Seen a video for American DJ Vertigo Tri LED Effect online or have you own video? Check out American DJ Vertigo Tri LED Effect on DJkit.com!